Links are very important in terms of online visibility. They play an important role in how a website will perform in SERPs and how a website will be found through search engines. This means, every single link can make a website perform well or it can hurt the overall performance of a website if its link profile is not pure of low quality and spammy links. Back in the old school days of SEO, quantity of links did matter and in order to build links, many SEOs used to perform aggressive link building to increase the link popularity of a website through article and web directory submissions. This form of manipulative practice and mindset of many SEO practitioners became very popular and drastically abused by many SEOs which triggered the father of search (Google) to take action and put an end to this behavior by rolling out their spam filter algorithms. In the ERA of quality (in terms of content, website and links), the quantity of links doesn’t matter. Therefore, if your SEO approach is to build links aggressively, you are only digging your website a grave where no one will ever be able to find it through organic results which is going to be a huge failure. So forget about the quantity and let’s focus on the quality which is the real key player of the game. 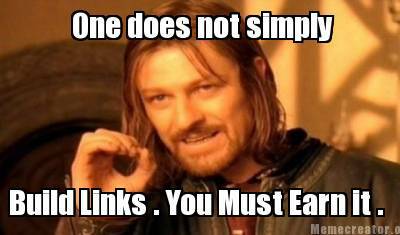 Earned links are much more valuable and trusted by search engines than links that you have built. Also, this makes the linking content, video or infographic become viral. This can be powerful and useful to its target readers. Quality content helps a website receive continuous qualified traffic from different channels from links created by other people. Any of your informative work (infographic, video or content) can attract links in their newly created publication related to yours. This type of earned link gives a strong and positive signal to the website which I also consider as a free marketing promotion. 2. Create a resource page on your website – The most essential freebies that you can give away to your target audience is to provide them a complete list of your compelling resources within your website. This could be a list of your remarkable articles, case-studies etc. 3. Create a list of professional interviews – Produce a list of interviews with highly respected individuals within your industry and put them altogether on a page of your website where your readers will easily find whenever they visit your website to learn something new and to get to know more those respected people. This page-asset of your website will not only earn incoming links but also will receive tons of traffic to your website in the long run. Sharing your knowledge in a form of content, infographic, document or video presentation on another website will increase your online exposure, especially if the website hosting your contributed post is authority and trusted website by search engines which means, no unnatural links, no useless content or anything do not give useful information to the audience. Focus on checking out the website domain authority using online tools to see if the website is worth linking to. How to find trusted and quality websites? 1. 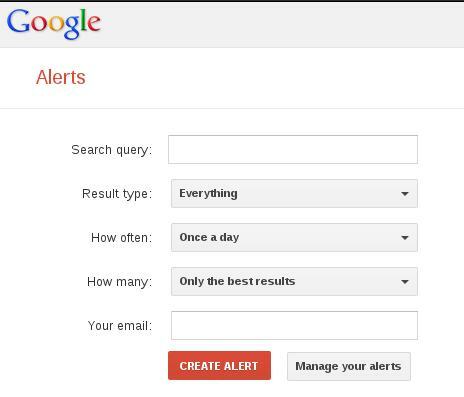 Set up Google alerts– The best way for busy individuals to deliver them the information that they need on certain things is to have it delivered to their inbox wherever they are. Even if you are not on your computer, you will still be able to find prospect websites where you can become a contributor. This product of Google actually helps us save time and at the same time, providing us quality results that are related to search query. 2. Use a tool like opensiteexplorer – The most efficient way to identify the authoritativeness of a website is to check its domain authority. The higher domain authority a website you will find the better. Since pagerank can be manipulated, it is safer to depend on domain authority when identifying a website that you can use to become a regular contributor. Moz Open Site Explorer: click this image to see an example of the data it returns for each URL. 3. Get posted on .Edu sites – It is very common that .edu sites are highly trusted by search engines which means, this will definitely give you a powerful link that is much better than a thousand links coming from directories online. However, it is quite difficult to get published on .Edu sites or other authoritative websites as they are very picky on publishing a guest contributed content. But these resources might help you on finding quality websites that you can use with domain authority of 80-100 scale. A lot of people are obsessed with link building and marketing of their website to increase their revenue, traffic and incoming links. But in the recent update of Google on their ranking factor of a website, it clearly says that they recommend on creating high quality website not links. So if you spend the time creating your website with useful information from the meta data up to the content of your website, you will surely earn quality links as your reward from your visitors by using your website as a reference or just by simply promoting your website through social shares and bookmarks. 1. Make sure that your website is crawlable – A lot of people do want to make the design of their website impressive by using java script, iframe or flash and as a result, search engine crawlers find it difficult to crawl and index their website which is one of the mistakes that website owners practice. 2. Include in your website what people are going to search for – Be helpful to your target audience and provide them everything on your website. Be very detailed on the information as people always look for sustainable website that can provide their needs. 3. Be creative in providing meta data “title and description” of your pages – To get the attention of your target audience, be descriptive in meta title and description of your pages to help your website standout in SERP as it will be used by search engines when it comes to relevancy. 4. Create compelling content – To make your website standout among the competitors of your website, you need to be very creative and unique when writing for every pages of your website. Since it is what your readers will look at from the moment they enter your website, you need to be very competitive when it comes to the content of your website. I agree! as you have said: website if its link profile is not pure of low quality and spammy links. unlike before on SEO’s techniques the more links you build the better, but after the Google algorithm has been arrive it’s the quality that matter’s most. Thanks for the suggestion, I am new to this kind of stuff, so this would be very helpful for me. I guess the saying content is king still holds true but now the focus should be more on the quality of what is published as opposed to the quantity. Thanks for sharing us valuable information for earn links. to provide a great knowledge for DA, and also provide a good tools for google alert its realy helpful. You’re right – it isn’t an easy thing. You have to make something amazing that will stand out and share it with people who will care. Or join a collaboration of bloggers. 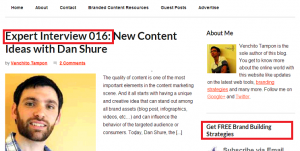 You can also use Twitterfeed to automatically share the best blogs in your niche. Comment on their content and share it so they will notice you. Then reach out to them about collaborating. Get active on ViralContentBuzz and JustRetweet – instructions are in those links. And finally, read the post I’ve put in CommentLuv to connect with other bloggers. This is true that Set up Google alerts The best way for busy individuals to deliver them the information that they need on certain things is to have it delivered to their inbox wherever they are. Hi Joseph !, Nice suggestion!I am preparing a college paper and collecting information on this topic. Your post is one of the better that I have read. I have learning about seo nowdays. Its really tricky and a bit complicated. You must manage how much % you give to each niche, keyword, links and etc Thanks for sharing! I forgot add http:// before my url website, So I repost my comment, I hope you dont mind. I already heard about these tools long ago..
Amazing post, i liked it too much, thanks for sharing here. I had to immediately try to apply this theory good, thank you. Great & inspiring post, but Create a resource page on your website, is the hard way, u must be a creative person! The tool you discussed is really great, aswesome and genuine . Harshit Jain would love you to read ..How to Reset Windows 8 Password? Solved! Nice share Joseph. You describe those steps in a very simple yet understandable way and make them easy to be put into practice. wow this is really the trick how to get backlinks that are truly extraordinary, and fortunately I jug MOZ Asering using either the website or using the extension, thank you for this post. I agree with your point that Link Earning can play the vital role to boost the SERP than Link Building. We all know that after the introducing of algorithm and Google Panda, Link building is becoming more spamming and we need to focus for organic link earning techniques to defeats the existing challenges on Link Building. Thank you for your resourceful post. It all sounds like basic stuff but actually it’s harder to pull all of these elements together than it seems. I find I constantly have to remind myself of the fundamentals to keep on track – so thanks for this reminder! 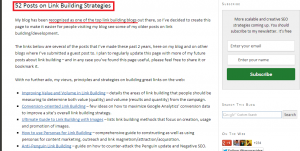 Good tips and ideas on how to build good links. Missing a little the social media part which will also give good links. Contribution to the trusted and high authority website is more important to get more exposure. Google Alert is pretty new to me and I would say thanks to update my knowledge about it. There’s a lot of detail here and some great tips. Every website owner can benefit from understanding how the right backlinks and right mix of baclinks can benefit your site and your SERP results. Another great tool is Ahrefs.com for checking your backlink profile. Great share Joseph. I think it all starts with good content. It represents a product – if it’s no good, then whats the point of advertising for it? All the link building exercises in the world won’t make any difference if your bounce rate is through the roof because of poor content. Thanks for all the great tips. This article just proves why businesses really should hire outside marketing and seo companies that stay up to date with all the different strategies to help their websites rank higher. Many people think it is an easy task and your article shows how in depth it really is. Thanks for sharing. Very good information here. I guess the saying content is king still holds true but now the focus should be more on the quality of what is published as opposed to the quantity. Thanks for sharing all these tips on what I should do to help my website rank higher. Two words when it comes to earning links: info graphics. Wait, maybe that is one word. Infographics! Make good ones, put them on facebook, pintrest, etc., don’t forget to add a link to your site, sit back, profit. I’m new in this branche, so your articles are real guides for me! Thanks! Nice and incredible information’s. The tools and proposal that you discussed in this article are genuine. The tools and suggestions that you discussed in this article are genuine. Nice suggestions Joseph ! The tools and suggestions that you’ve mentioned in this article are no doubt very good and genuine . I never used Google alerts before and i am excited to try it out and i had a question ..what’s more effective ..posting comments/guest posts on a blog with high DA or posting comments/guest posts on high PR blog?